Did the LittleMissMoonPie rock out Saturday? Why yes, yes, she did. Update: her boots in DCist. Update: me on someone's Flickr stream! Update: the LittleMissMoonPie upstairs, me and MotherMoonPie at the bar. 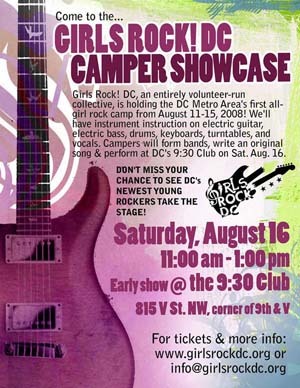 My daughter has had a fantastic week at Girls Rock! 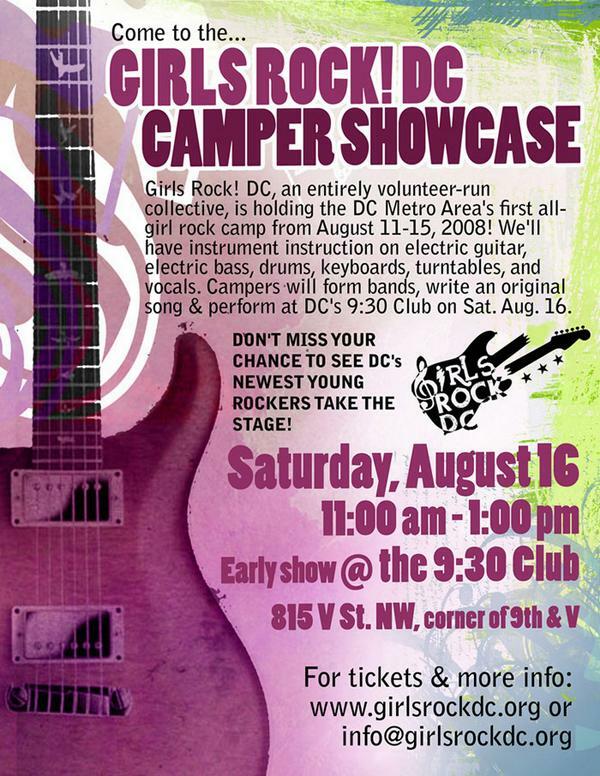 DC camp. Really amazingly great. She's come home every day bubbling and excited and damned proud of herself for what she learned and accomplished. Not just musically, though that, too. I hung out for a bit yesterday, and there was just so much esteem, for self and other, that I get tears in my eyes thinking about it now. She's been at Chez MoonPie the whole week, which is the longest time I've spent with her since the divorce 10 years ago, and even with packing the lunches and dealing with getting her to bed and out of bed and rushing across town every morning, it's been one of the best weeks of my life, truly, really. Come see TheLittleMissMoonPie perform! Yay!